Water Paper Paint is now in its 9th printing in English, and translations are also available in German, Dutch, Taiwanese, Korean, and Malaysian. Water Paper Paint is for any creative person who wants to experience and play with watercolor. 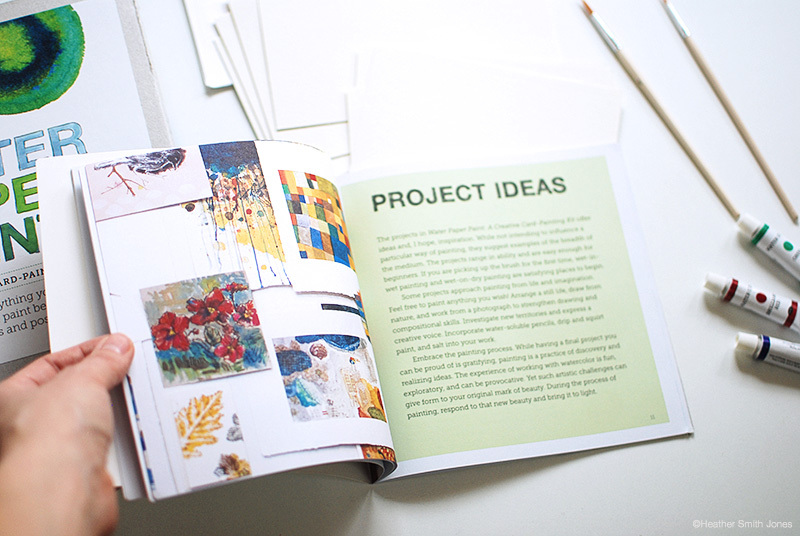 This book moves beyond the typical formulaic, how-to-paint textbook. Rather it offers readers experimental and technical projects to explore, all written from an artist's viewpoint. The beautiful photography in the book allows the reader a kind of look over the artist's shoulder. The projects are suitable for the beginner and can provide inspiration for someone with art experience. Water Paper Paint is composed of three sections. 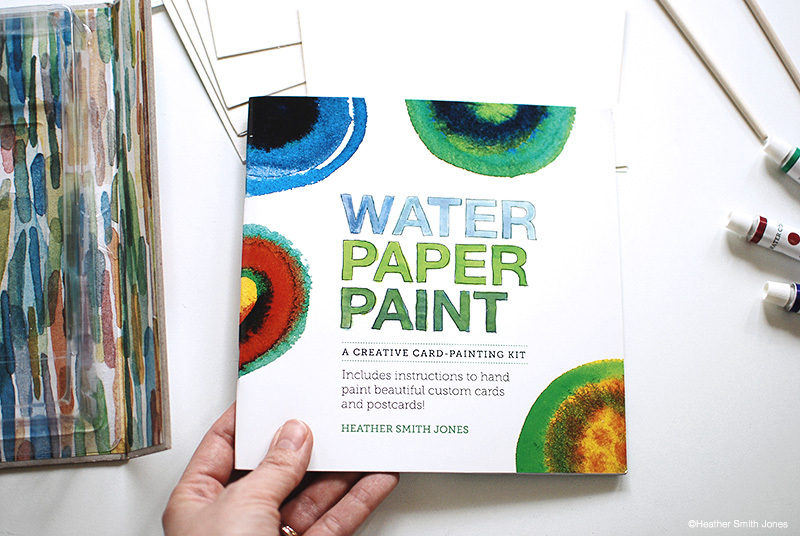 The basics chapter discusses paper, paint, palettes and brushes. The projects chapter contains thirty projects that are fun and creative. Readers are guided by instructions, tips, and photos. For the Gallery Section I invited artists from across the globe to submit work. Artists are from Australia, Canada, Mexico and throughout the U.S. The contributing Artists to the Gallery Section are Andy Farkas, Kyle Field, Gracia Haby, Anna Hepler, Louise Jennison, Christine Kesler, Margie Kuhn, Carrie Walker, David Wilson, and Geninne D. Zlatkis. And Shari Altman contributed a piece of prose which was used as inspiration for Project 23: Painted Verse: Finding Inspiration in a Poem. 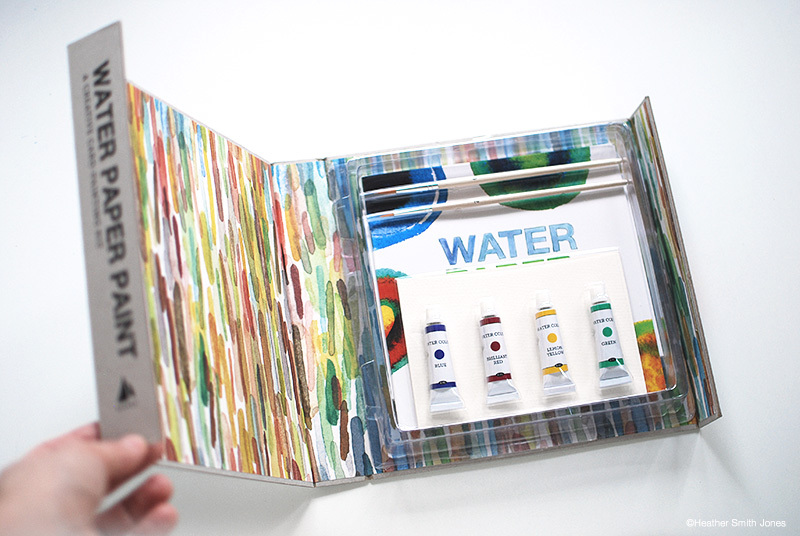 A 32-page full color book and supply kit to get started in watercolor. Kit includes a sampling of projects, 4 blank greeting cards, 6 postcards, 4 tubes of watercolor paint, and two paintbrushes. A great gift idea for someone who wants to get their brushes wet! Available fine art prints of my work used in Water Paper Paint.